Alice an innovative and unusual concept based on individual elements that assemble themselves between them with hooks to form a superb decoration panel, a piece separation, a window curtain original... 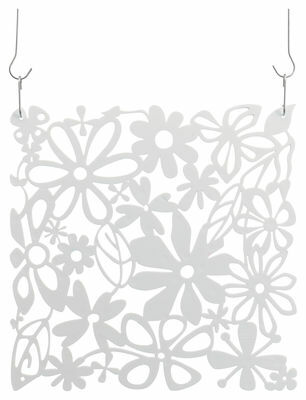 Very decorative, these partitions sport pretty flower motives that cheer up your interior all the year. They offer a kaleidoscope of possibilities and allow creating his panel according to its cravings and its needs: mixes colors, dimensions,... Very original and adaptable, they invest all the places: the house, the office, stagecraft, the interior of a store... This set includes 4 elements and hooks.